Denzel Washington directs and stars in this adaptation of the Pulitzer and Tony prize-winning August Wilson play. 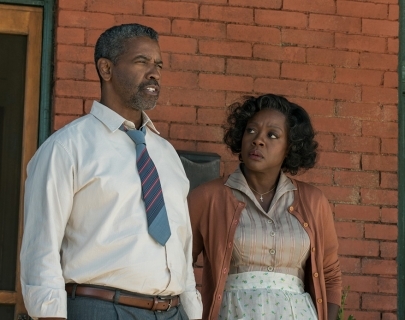 Fences follows Troy Maxson, a Pittsburgh sanitation worker in the 1950’s who was an aspiring baseball player but was too old when the major leagues began admitting black players. Eaten away by his unattained dreams, and struggling as a husband and father, Maxson makes a decision that threatens to tear his family apart. Featuring an incredible, emotional performance from Viola Davis as Rose Maxon, which won her the Golden Globe for Best Supporting Actress.